CSI, NCIS, Law & Order, Dexter, Bones: These are the names of some of the most popular television shows on the air today. And what is it that they all have in common? They all have characters and storylines that are based entirely in the world of forensic science. Surely, most would agree that forensic analysis is an exciting and interesting field of work. The idea of using state-of-the-art science to bring criminals to justice is an enticing and fascinating concept. And in almost every episode of these popular shows, we (the audience) get to see the crime occur, the physical and forensic investigation, and then, of course, the criminal is caught and brought to justice; all in 30-60 minutes! Now THAT is efficiency! Unfortunately, the reality which these shows are based off of is nowhere near as efficient, precise or dramatic. Due to the popularity of these shows, a large portion of the general public has been exposed to an extremely unrealistic view of forensic science, and with that, our perception of the justice system and how crimes are investigated is permanently skewed. Sure, we all know it’s “just TV,” but when something is reinforced enough, we tend to believe what we see. 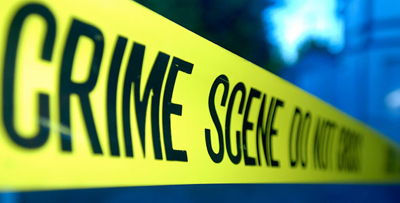 The truth is, crimes in real life are in no way investigated in the manner that they are on TV, yet, we as a people expect them to be, and more importantly, we are surprised when we hear that forensic science does not play a role in every investigation. No, we didn’t coin the phrase CSI Effect, but you should study the issue and develop responses to prevent your failure as an attorney in court. And although it may sound silly to discuss this concept seriously, the underlying danger with these television shows misrepresenting reality so greatly is the fact that we are all essentially the justice system: We, the general public, are the jurors when it comes time for real-life court proceedings. So what happens to our justice system when the jury members are consistently misinformed and have completely unrealistic expectations? Over the next three weeks, we will look at how each facet of the judicial system addresses the CSI Effect: The prosecution, the defense and the judge.